How did it come to pass that Steve McQueen was bestowed the title of “King of Cool” when Paul Newman was infinitely more badass, arguably more talented on the race track, and unequivocally more talented on the silver screen? 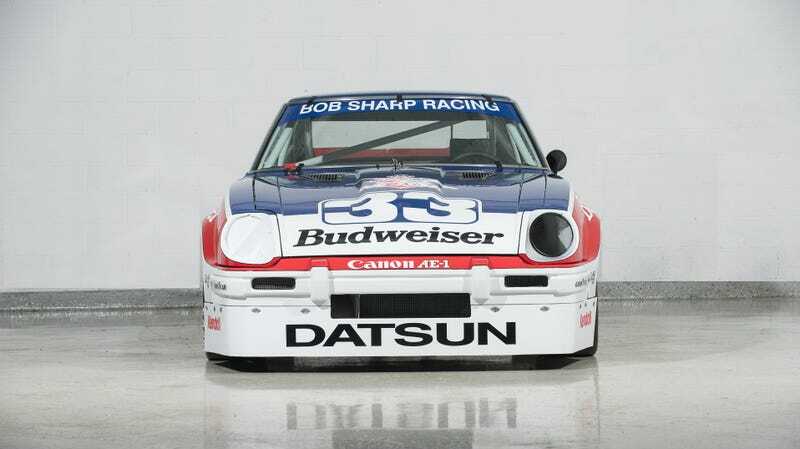 Besides, he had to be the baddest mother in the land to finesse this Bob Sharp Racing-prepared Datsun 280ZX around the track to win the SCCA C Production championship in 1979. Now is your chance to own that car. While I don’t much buy in to the “investor grade” nonsense that the sellers, Motorcar Classics, are pitching here, this is an awesome old race car with some awesome old history. If you have the means, you should definitely buy it before Adam Carolla hears about it. If you do buy it, spend a few extra bucks to update the safety equipment with more modern components, and take it to the track ASAP. This car was built to go fast and make loud noises, and like all race cars, it should be at the track as often as possible. Ascribed chassis number 100026, this 1979 Datsun took actor/racer Paul Newman to dominant season-long victories at Summit Point (twice), Watkins Glen (twice), Brainerd, Lime Rock Park, and Road Atlanta. Each time he won, he also started from pole, proving that this was one hell of a fast machine in its day. Now, simply because it’s tied to Paul Newman, this car will sell for a likely ridiculous sum. Case in point, his Rolex Daytona wristwatch sold last year (without a band) for nearly $18 million. Adam Carolla paid $4.4 million for a Porsche 935 Newman drove to a class win at Le Mans. Now, it’s not likely this Datsun will fetch Le Mans-winning Porsche money, but expect at least six figures to exchange hands for the privilege of becoming steward of this bit of American Motorsport history for a while. Besides, it’s on Gotti racing wheels, and that’s way too rad to look away from.